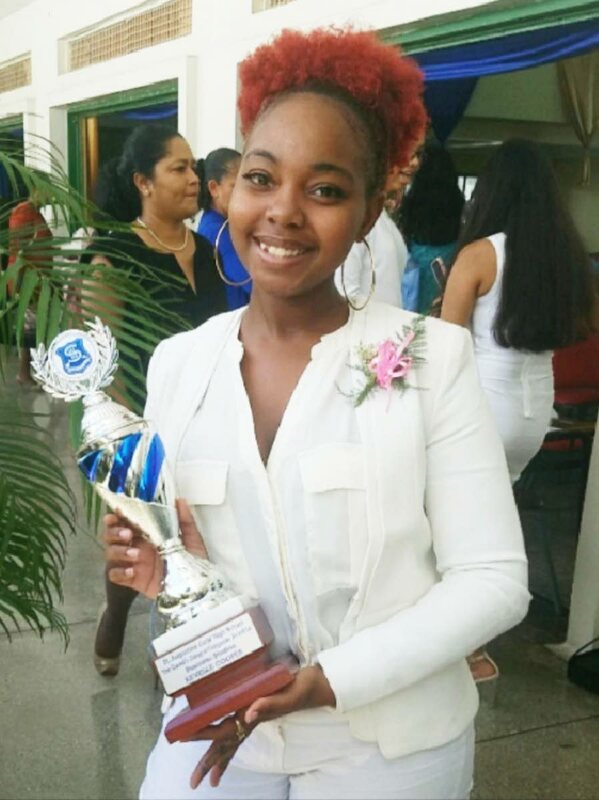 Major achievement: Scholarship winner Kevelle Cooper and her award on her graduation from St Augustine Girls’ High School. At eighteen, Kevelle Cooper has already shown grit and great resilience as she triumphed over her economic hurdles to earn a national scholarship. The St Augustine Girls’ High School alumna is one of 36 students to receive national scholarships this year. She was awarded an additional scholarship in business. When she was in sixth form, the teenager worked as a cashier in a supermarket after school to help out at home. Her shift began at 3 pm and ended at 10 pm, after which she would immerse herself in studies until the wee hours of the morning. “It was always difficult. 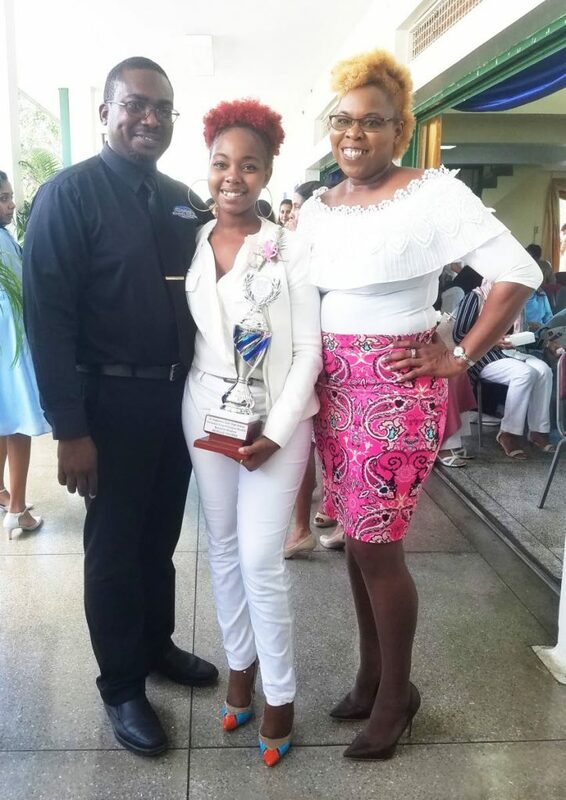 There were days I would be so tired, but I knew that my sacrifices would not have been in vain.” She obtained eight distinctions in the Caribbean Secondary Education Certificate (CSEC), and six distinctions and two ones in Caribbean Advanced Proficiency Examination (CAPE). Proud parents: Kevin Cooper and Rachel Edmund with their daughter Kevelle Cooper, a scholarship winner. When she saw her results she was thrilled. “I was screaming. I was so happy, I ran home screaming. My mother was waiting for me at the front gate and when she saw me screaming, she too started screaming and jumping for joy.” Edmund said she was proud of her daughter’s achievements. Cooper tells Sunday Newsday she is always optimistic and when many of her peers were taking extra lessons, she knew her family could not afford to pay for lessons. She spent her lunch periods in the library reading other resources relevant to her subjects. “I followed the different syllabuses, got past papers and even rented books from the library. I always believed that where there is a will there is a way. I was not going to let my situation define who I was.” Cooper adhered to her goals, determined to succeed. She has since shared her story online to give other students a reason to believe in their goals - a story which has gone viral. She has taken a year off from studies and works in her father’s company, Coop’s Car Care as the accounts manager. She plans to further her studies in economics. Reply to "Kevelle’s road to success"